Mozilla OS! As you might have heard from the sources, it is the code name of Mozilla’s HTML5 based mobile platform, which is expected to be commercially out very soon. This open source project is of course an anticipated one, as it may become a rival to the existing mobile platforms including Android and iOS. 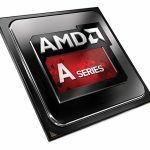 Open source world and developers have already started working on the OS which made the organization able to launch two Mozilla OS based Smartphone a while back. 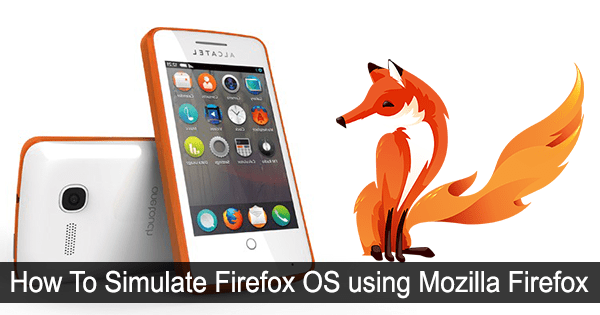 Mozilla OS is a Linux based operating system, which has been successfully previewed in devices, which run Android. Apart from mobile OS, Mozilla foundation is also interested in releasing a desktop version of the OS, which shall be named as Boot2Gecko. As a part of their effort in popularizing the OS and finding developers to build apps for them, Mozilla team has introduced a simple way to simulate the Mobile OS in your PC and hence to know how the HTML5 based OS works. This way simply means that not only developers can enjoy the early release of OS, before it is stuffed inside Smartphone devices. So, let us jump to the procedure to simulate Firefox OS quickly. Mozilla Firefox v19 or later; The plug-in will not support in previous versions and probably will give you an error. If you do not have Mozilla or the latest version of Mozilla, you can download it from here. 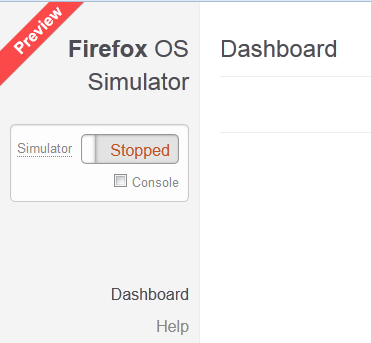 As we said before, this simulator works based on a Firefox plug-in. This plug-in is available for Windows, Linux and Mac, which can be downloaded from Here. In this case, we have to download the Windows based version of the Simulator. What you get after the download is a 69MB file with an unfamiliar extension called .xpi. This is the base file of the plug-in we are going to install so keep it in an easily accessible place. The main tool of the simulation is Mozilla Firefox Browser as said before, so start your Mozilla Browser for starting the process. After it is loaded, go to Tools -> Add-Ons, which will lead you to a new tab like shown below. 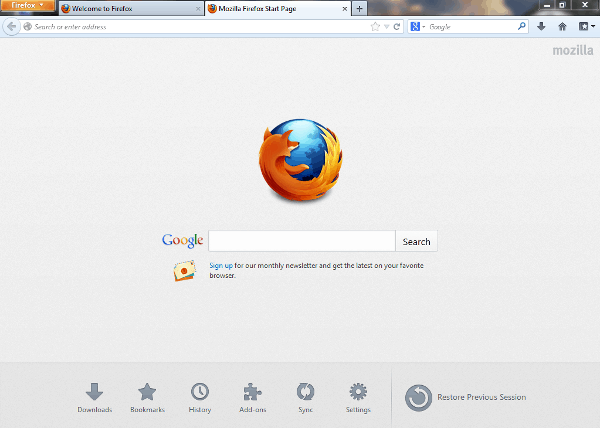 If you are running Mozilla Firefox 21, you can directly go to Add-Ons option from the start page itself. Here you can see a lot of extensions and plug-ins available for Firefox. To add the extension we want, Select the Settings button first and then select the option named ‘Install Add-On from file’. This will prompt you a file selection window. After selecting the suitable file, Mozilla will prompt you to confirm as a part of security concern. Just hit ‘Install Now’ without a second thought. Moreover, you are done with installing the plug-in and you can soon see a notification stating that the plug-in is successfully installed. The next part is about simulating the OS, which can be done using Tools -> Firefox OS Simulator. Selecting the option will lead you to another tab. In the left portion of tab, there is a small box. There you can see the message that simulator is stopped. Just click on the button to let the OS start. 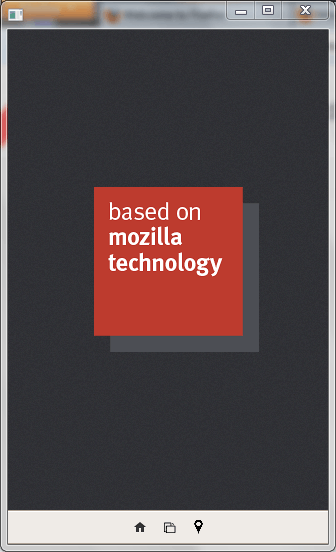 Just as you toggle the button, a pop-up will be generated from Mozilla, bearing the screen size of a smartphone. There, you can see Firefox OS running with proud. So, just go and have fun with Firefox OS. Unless you want to install applications, this simulation will not require internet connection and it will not eat up your device’s speed. (Android simulator used to take that much load sometimes). Though the Operating System is still under the label ‘Developing’, developers have published some cool apps for Firefox OS but keep in mind that you will have to face many bugs, as it is not a completely developed one. 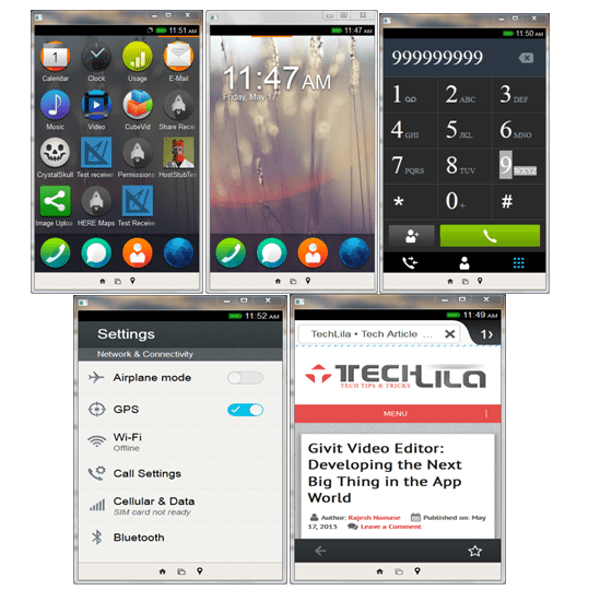 However, this plug-in can give you a total idea about Firefox OS and its user interface etc. By the way, here are some cool screenshots taken from the simulator, which simply tells you about Firefox OS’s wonderful UI. Let us know your opinion about Firefox OS via comments. A detailed step to step and easy guide. I have integrated it with my firefox it’s browser is very fast. Wow … incredible. It makes Firefox more liked by me (and many others of course). I can not wait to try this add-on in my Firefox.